NHRA Model Car Hall Of Fame Diecast Hall of Fame Automotive Legends Award Diecast Hall of Fame Class of 2012 B.R.A.K.E.S. 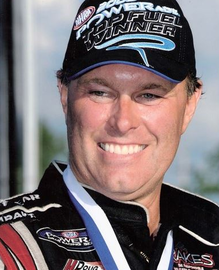 Doug Herbert is an American drag racer. He founded B.R.A.K.E.S. (Be Responsible And Keep Everyone Safe) organization in 2008 after his sons died in an automobile accident. The organization states that its main goal is to educate teenage drivers and their parents about responsible driving. Due to his success in racing, and the B.R.A.K.E.S. organization, Herbert was inducted into the 2012 Class of the Diecast Hall of Fame as an Automotive Legend.